WASHINGTON — The National Guard will deploy nearly 500 troops to the U.S.-Mexico border, the government announced Friday, in the first step in President Donald Trump’s plan to curb illegal immigration. The first troops will arrive in the next 24 to 48 hours, according to a senior defense official. A Pentagon memo about the deployment calls for up to 4,000 troops from border states to be assigned through Sept. 30. 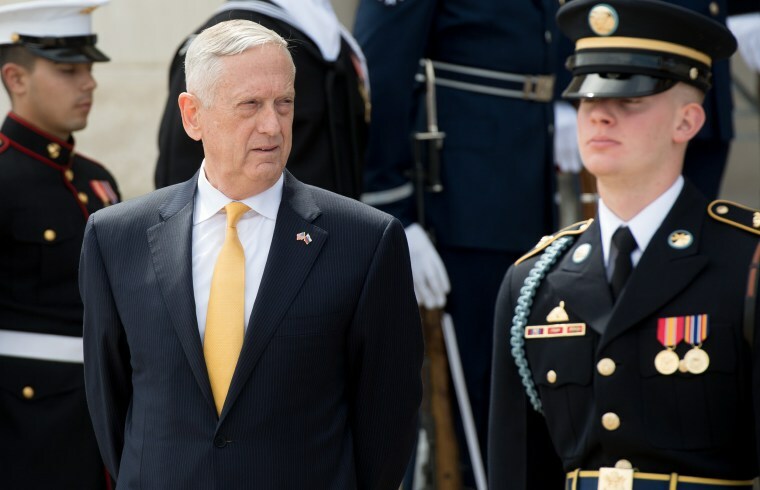 It says that the troops will not be used for law enforcement or interaction with immigrants unless Defense Secretary James Mattis approves it, and that the troops will be armed only if required for self-defense. Mattis signed the memo late Friday. The initial deployment of 500 will include soldiers and airmen, according to a statement Friday from the National Guard, which said it was also sending "vehicles, equipment and helicopters starting tonight." Many details, such as total manpower, the duration of the mission and costs, are still being negotiated. Trump, according to his advisers, is eager to put "boots on the ground" as soon as possible. Texas Military Department Brig. Gen. Tracy Norris said Friday evening, "Within 72 hours the Texas Military Department will have 250 personnel along with ground surveillance vehicles as well as light- and medium-aviation platforms." Arizona Gov. Doug Ducey said on Twitter that his office was working with Homeland Security and the Department of Defense and others on plans to deploy approximately 150 National Guard members to the border next week. The Department of Defense has said it will set up a 24/7 support cell that will provide coordination for the border mission. The urgency to increase manpower on the southern border follows a sharp uptick in illegal border crossings last month. U.S. Customs and Border Protection apprehended 50,308 immigrants in March, up from 16,588 during the same month last year. Nielsen attributed the jump to the “Trump effect” wearing off and immigrants realizing that they can still be released from detention inside the United States while their court cases proceed. Adding more National Guard troops for intelligence support will serve mainly to stop migrants who are slipping through undetected. The majority of those responsible for the rise in crossings, however, are families who turn themselves in to border patrol in hopes of receiving asylum. Another major undertaking for the National Guard at the border will be assistance with the expansion of a border wall or fence. The nearly 2,000-mile border is already covered by 356 miles of fencing, though some is in need of repair. In 2006, President George W. Bush sent 6,000 National Guard troops to the border, some of whom worked to construct the barrier. Under President Barack Obama, the National Guard was deployed to supply aerial surveillance.